With 13,000+ paid subscribers, the Angus Journal is the official publication of the American Angus Association, and the primary source of the latest Angus sale listings and offerings. 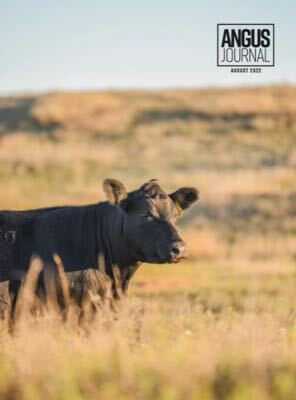 The Angus Beef Bulletin is a complimentary publication distributed to 63,000+ commercial cattlemen who have recently purchased a registered Angus bull. Extend your marketing reach to more than 1.2 million cattlemen and women who visit the Angus.org homepage each year. Promote your digital sale book or website on the www.angus.org homepage. Extend your marketing reach by gaining last minute publicity for your sale or highlight a recent update or website launch. * All breeders included in the featured website and sale books on the homepage will also be highlighted in the Angus Journal Daily. An opportunity for institutional advertisers, companies or breeders who want an opportunity for continuous, year-round presence on www.angus.org. Book homepage banner ad spots in advance as these spots fill up quickly. The day's top beef cattle headlines delivered to your email inbox, including breaking news, Association announcements, herd management tips and research findings. $45/day for an existing online ad, sale book or website. $250/day for a link to a new Angus Media designed website. Angus Media also offers rates for Commercial Advertisers in the Angus Journal and Angus Beef Bulletin, as well as other advertising opportunities. A handwritten thank you note, designed by Angus Media, goes a long way to express your appreciation.